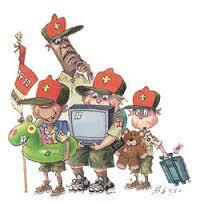 This kit list is aimed at Scouts so you may need to adjust depending on your section. It is written as a guide only, if you are unsure or you want guidance/reassurance please ask one of the leaders. Where a camp has very specific needs we will either communicate those needs or provide a camp/event specific kit list. Otherwise this generic one should be fine. First rule of packing for a camp, the Young Person should do the packing. Yes you can get it all ready for them, yes you can assist and show them how to make it all fit, but it is important they pack for themselves. This is to make sure they know what they have and where it is. Trust us, too often we get to camp and they come and say I don't have this or that and then a few days later there it is, found in a side pocket. Please remember the list below is a guide, you will need to decide how much of each item is needed but strongly suggest enough underwear for 1 per day plus 1 spare. Please also remember this all needs to fit into one rucksack or kit bag. It is usually acceptable to have a kit bag plus a day sack. The key is you (the young person) need to be able to carry all your kit from the drop off location to the final camp site. This can be a good 10 mins walking, so do not bring too many bags and do make sure you can handle what you bring. 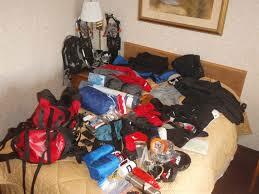 Please do not over pack but also do bring enough for our variable weather. Inevitably I always over pack and regret it, that said I am almost always grateful that in summer I added a hoodie or fleece and in winter I added shorts, in the UK you just never can be sure. Sleeping Bag - please make sure the bag is suitable for the season, not too hot and not too cold. you could also send a jumper or light blanket if the weather looks like it cold be variable. Sleeping Mat - Please do not send air beds or camp beds. (I know some of the leaders will use them but we do not have to worry about how others will be sleeping in our tents the young people share tents and these items take up to much space, they can also be too heavy for the Beaver/Cub/Scout to carry with all their kit to the final camping location. Pyjamas or some other items to sleep in. Shorts, Jeans, T-shirts, Sweatshirts, etc. Needle, Thread, Buttons, Safety Pins, Laces etc. Personal First Aid Kit, Sun Hat or Baseball Cap, Sun Tan Lotion etc. There should be no need to bring electronic equipment with you. If there is a specific need you will be told about it. If you do bring a mobile 'phone or music player or Kindle or whatever that is electronic please do not expect to be able to charge it and please remember you bring it at your own risk.